We all know wine tastes good and lifts our spirits but there's so much more to it than that! 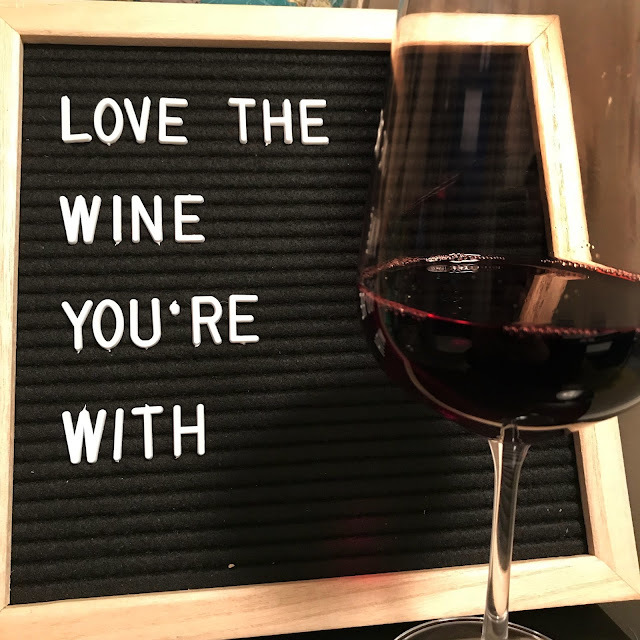 This Valentine's Day, let's grab a glass and reflect on reasons to love wine that go far beyond catching a buzz. 1. Want to explore the world? Grab a bottle of wine and take a trip in a glass from the comfort of your own home. 2. If you like to travel, wine is grown in some of the most beautiful places on Earth. Seriously, can you think of a miserable wine region? 3. Wine has played a major role in history. Since ~6000 B.C., it has influenced trade and culture in times of both war and peace. 4. It complements food in a way that no other beverage can. The right wine pairing can take a meal from good to great. 5. There's a seemingly endless range of varietals to explore. While they are not all used, there may be up to 10,000 types of vitis vinifera, the species most commonly used to make wine. 6. As a marketing professional, I am constantly amazed by the business side of wine. If you're interested in commerce, marketing, or regulations, explore the global business that is wine. 7. In fact, there's a side of wine for many fields of study: ecology, nutrition, agriculture, medicine, physiology, chemistry, business, culinary, operations, supply chain, manufacturing, religion, etc. Talk about well-rounded! 9. Low/moderate intoxication (0.075 BAC) can actually promote creativity according to science. So grab a glass of wine and get to making! No Valentine's Day celebration is complete without wine! Check out my recommendations. I am Jack Mike working with intuit online payroll support . Call our QuickBooks Payroll Support Phone Number +1877-2499-444 or quick help and other payroll related services like as payroll creation, invoice creation, we are available 24/7 for your assistance. If anyone troubling to set up Roadrunner Email Server Settings, contact roadrunner toll free helpline +1-888-338-6033. Thanks for sharing amazing blog. I found this blog is very helpful for us and your website is best for my wishes. If anyone facing trouble related to QuickBooks Error Code 6000. So you can directly Dial our QuickBooks Error Support Phone Number +18772499444.